Well guys.. I figured id open a small thread to give me some sort of journal on my new path in life. One i hope to share with some old friends and new! Towards the latter of last year, into the earlier part of this early 2011,i was consulting with my doctor and several Bariatric surgeons to discuss the possibility of weight loss surgery. I have tried all kinds of diets in my life. You name it, and i have failed it. I have always been a big guy, but in 2001, i had a knee injury which hindered my ability to keep playing sports. And i found that to be the start of my decline. I got bigger and bigger, each year, and i guess i just turned a blind eye. So Fast forward to June 28, when my Newly appointed Nutritionist laid out my new, pre-surgery diet. Wheeeew this seems fun! lol.. syke! My Starting weight on that fine day. 365lbs...BMI = 53.4? Not Good.. But there i was, ready to start my new life.. it needed to be not only tried, but completed.. So i started on one meal replace a day.. and after 1 month, i lost 19lbs.. Not bad! Then i started two meal replacements a day. and i lost an additional 14lbs. This seemed hard, as you try telling a guy who has been eating fast food and whatever that he can only eat a small 4 inch potein bar, twice a day.. Well then, the doctor asked me if i wanted to try 3 a day.. i said Yes, i could do it.. Well if you think two a day is twice as hard as one a day, then by my polish math, then 3 a day is 47342 times harder than 2 a day!. But i stuck it out, and tried not to cut any corners ( a sensible meal occurred maybe twice, once at best friends wedding), but i tried to stick to my guns, and not cheat myself out of my new life's path. The moment i woke up from my surgery, i felt like i was hit by a train. I was sore, i was weak as a leaf, i was scared. why did i do this?. 36 hours after my surgery, i was 330lbs.. thats right, i gained over 6lbs of weight from my IV, and i was just a mess.. I havent smoked any cigars since September 10th, and while im pretty sad about that, i just want to make sure i let myself heal first until i get back to my hobby. And as of today, im 302lbs, a total of 22lbs from my surgery date 19 days ago.. 63lbs total! My cloths dont fit at all, and even though im still sore as heck, im starting to think this might actually work.. Anybody who has been down this path knows that the first few months can be very frustrating, and my journey thus far has been no exception. But i just hope that in the end, it will be all worth it..
MY personal goal is 230lbs. My doctors goal (which is a stretch goal for me ) is 205lbs. As soon as i am able to work out, and hit the treadmill and elliptical, i am SO there.. i want to get jacked up like i was in college. And more importantly, i want to be healthy and live to spend time with my wife; time to succeed in my lifes work; time to enjoy with the great friends i have in life.. The time is now..
And to the people that i was fortunate enough to meet here, whether it was at Shack or any other herfs, etc, i cant wait to see you guys again in my new body , hehe..
Best of luck to you, Ron. It won't be easy but it sounds like you are committed to making it work. Good luck brother, it sounds like you are trying to make some positive changes in your life! More power to you and I am sure you will succeed! good luck Ron, I know what you are going thru. 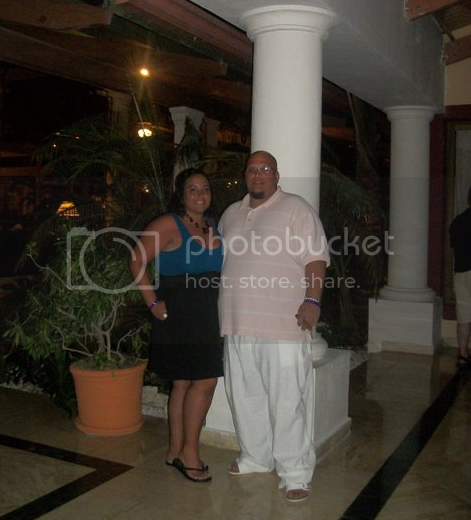 I was almost 400lbs before I had my duodenal switch. I'm back at 240lbs now, less then 2 years later and feel so much better. Don't loose the weight too quickly as that might cause other health issues like I am experiecing right now (low heart rate). It is a life changing procedure, but a life changer for the best. Sounds like you are focused and committed, Ron....we are all rooting for your success! Keep it up Ron! You can do it!!! Great job brother and keep up the good work!! We're all pulling for you. You're not gonna be Big RonS anymore, you'll have to just be RonS. Go nice and slow and be patient like Ferdie suggested. I want to see you smiling and healthy when you come out the other side, brother. Great job Ron...keep at it brother!! That's fantastic! X3 on the "go slow" advise. My doctors told me "you didn't gain all that weight overnight, don't expect to get rid of it overnight!" With that, I was able to go from 390 to 285 in a little under 2 years! Keep it going! You are definitley on the right track!! thanks guys, i really appreciate all the support..! Keep up the hard work, Ron! Hoping for the best. Good work so far. Keep it up Ron. It was nice meeting you at Shack. I can't wait until next year. In the meantime, keep us posted.